"When I first came to Dockter-Lutz Chiropractic, I was desperate for relief from a migraine that had already lasted four days. I was surprised when I was told that I had arthritis in my neck, as I was only 38 at the time. I hadn’t even realized how limited my range of motion had become. I was amazed at how much it improved after several months of adjustments. The headaches are now less frequent and are shorter in duration. I also regained the 1.5 inches in height that I thought I had lost due to osteoporosis!" ~ J.S. Many headaches can be traced to neck or cranial bone misalignments but can be caused by a number of factors. Fortunately, chiropractic has a number of answers for these types of headaches. To start, be careful of naming a headache. You may have the belief you have one type of headache but often it may be incorrect. For example, by definition, migraines are one-sided headaches. This is just one of many examples of a label being incorrect. As chiropractors, we have an excellent chance of helping the headache if the examination or x-rays indicate some type of altered alignment of the neck region. For example, if a patient enters one of our offices with headaches and, upon examination and x-ray, his neck and cranial bones are in excellent condition, we will not accept that patient for treatment. The areas that we would treat are already working properly in this example; therefore, there must be a different cause for his headaches. By the same token, a patient may enter our office noting that he has been told that nothing could be done for his headaches, or that he has to live with them. If, upon examination and x-ray, we find the neck misaligned, there is a good chance that chiropractic treatment can be helpful. 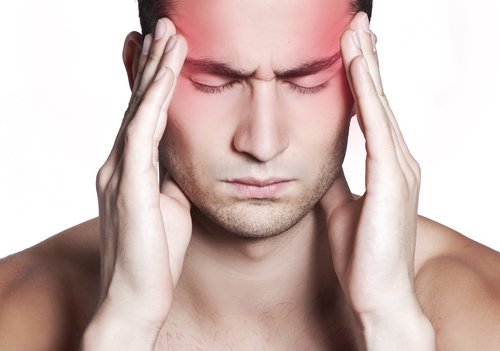 Many headaches can be related to auto injuries, sinus difficulties, or any other neck-related symptom. While there are other causes of headaches, these are the types of headaches that chiropractic works best with. The nerves of the neck, when irritated, can lead to head pain that travels from the neck to the top of the skull and around the ears. Sometimes the pain can radiate into the face or eyes. These headaches can make it difficult to think clearly. Whatever the type of pain you have, a thorough chiropractic evaluation will help lead you in the right direction. If, at any time, we feel that your headaches are caused by something that chiropractic cannot help, you will be referred to the appropriate specialist.